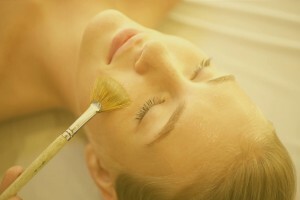 Take your spa experience to the next level with an add-on from the treatment enhancement list below. Relax your muscles with a sea salt bath in our state-of-the-art Japanese soaking tub. Enjoy this luxurious bath before or after any treatment. Smooth lava stones are warmed while your skin is infused with kukui and coconut oils to enhance your massage. The perfect ending to a spa massage is the soothing and hydrating hot oil scalp massage. 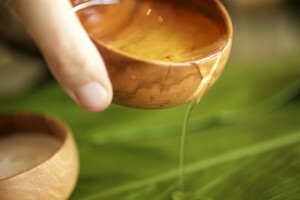 Add a 30 minute warm coconut milk massage to any spa treatment to heighten your spa experience. 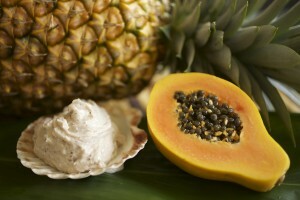 Add an exfoliating papaya pineapple body scrub to your massage to soften skin. 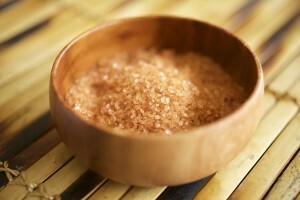 Add an exfoliating and purifying Hawaiian sea salt body scrub to any spa treatment. Cleansing, exfoliation, application of a mask, toner, and moisturizer. 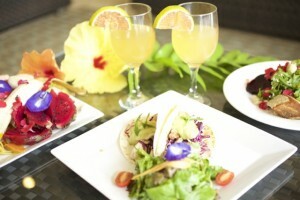 Choose from the menu for Waipouli Beach Resort’s ocean front restaurant, Oasis, and enjoy a catered meal between treatments.